Our tour guide will meet you at the hotel’s reception then take you to Con Dao Tourism wharf where we will start with the visit. 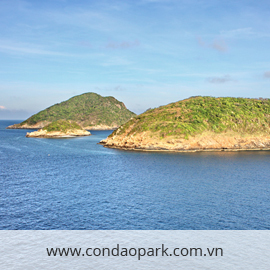 On the way, you can enjoy sight-seeing of Con Son bay, Ca Map cape and surrounding islands. There are lots of Barringtonia asiatica trees in Tai island which are only found in some islands in Khanh Hoa province or Phu Quy and Truong Sa islands. Barringtonia asiatica fruits have square shapes with very beautiful flowers. 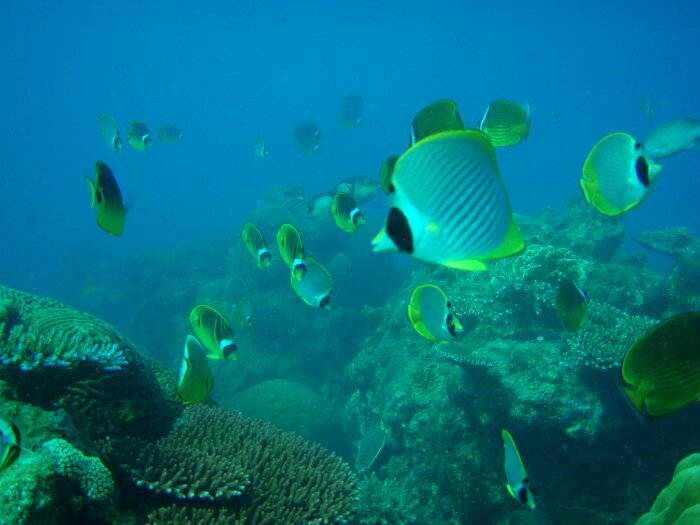 Tai island and surounding area have been established as an marine ecological restoration zone consisting of colorful and beautiful coral reefs with difference creatures such as sea urchin, sea cucumber, sea turtle, clam, snail, etc. 6.30 p.m: Have dinner at Hon Tai Ranger Station. 7.30 p.m: From Hon Tai, you will have a great view to centre of Con Dao town at night,. 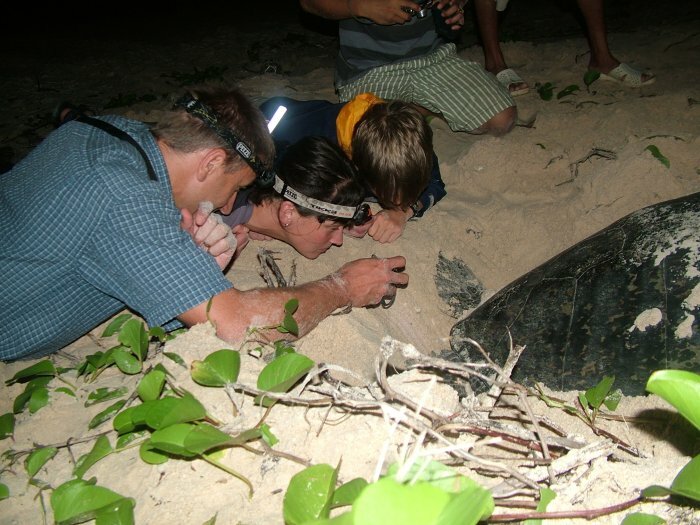 You will also have opportunity to interact with our rangers and learn about the biological characteristics of marine turtles, conservation work in Con Dao National Park as well as required regulations to see turtles laying eggs. 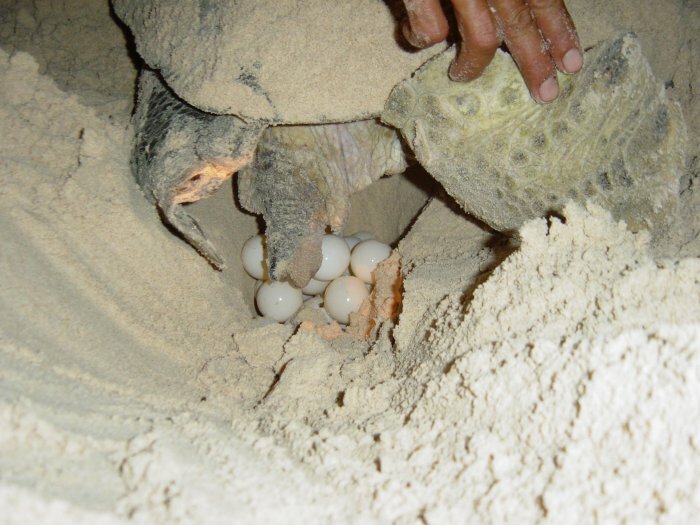 You will also be invited to stay up late with rangers to see your own eye on how turtles nest and lay eggs in the beach at night. 6.30 a.m: Visit and learn about Red Face monkey (Macaca arctoides) population – one of species listed in Viet Nam Red Book - and watch rangers feeding them. 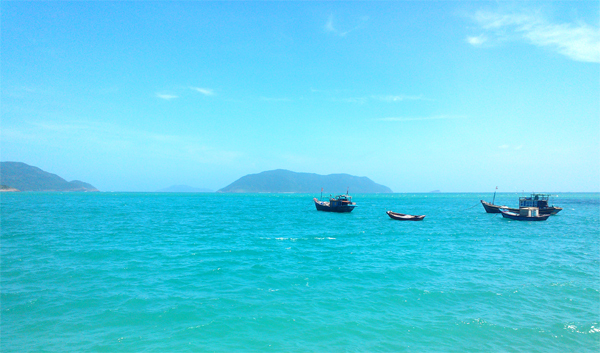 7.00 a.m: Return to Con Dao town. 7.30 a.m: Coming to Tourism wharf, finishing the visit. 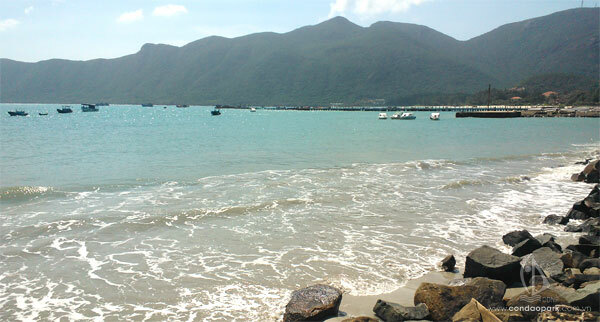 Tai island is located in southeast of Con Son island, with an area of ​​34 hectares, from Con Dao pier 5.3 km and about 1km from Shark Cape. Hon Tai has beautiful natural landscapes, attractive to visit, go sightseeing and explore nature. 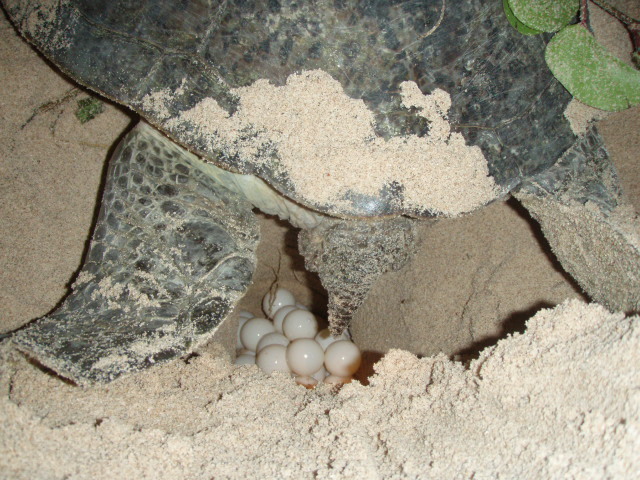 Tai island has two small white sandy beaches where hundreds of mother turtles to nest and lay eggs Thanks and have thousands of baby turtles return to the ocean annually (from April to September). Marine resources around are rich and diverse with many of marine organisms species, such as: corals, fish, giant clams, sea turtles, ...That’s why this zone should be strictly protected under the marine component regulation. - A marine eco-tourism route by boat, organized and operated by the Park Visitor Center. 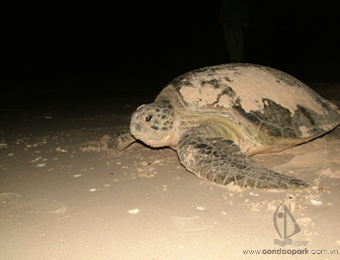 The service includes bathing, swimming, coral viewing, see Red Face monkey, wildlife sightseeing, explore resources conservation activities, watching turtles lay eggs during the breeding season (at night), return baby turtles to the sea​​. - Requirements: bring appropriate private picnic sites, swimming, snorkeling gear renting in National Park. It should need a guide of National Park or the local community for guidance. - Time: 4-6 hours or some days; Environmental capacity: up to 24 guests in daytime/1 time, 8-10 guests in nighttime. It is suitable for couples, honeymoon, camping and relax in groups, family travel.